I am so grateful that I am given a chance to raise two little girls. It means I can to share with them as many self-care and beauty tips that I learned along the way. 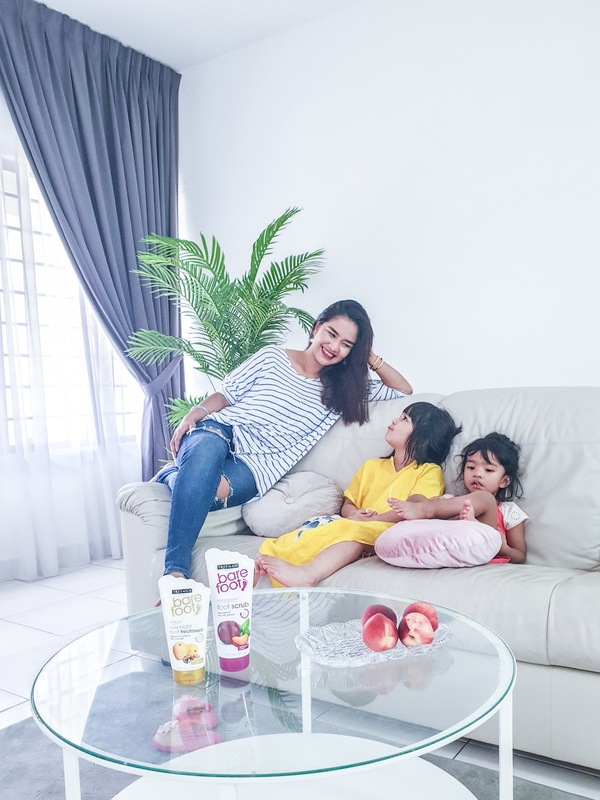 I am so glad to be the one who teaches them how to put on lotion on your body, plus it is quite a fun activities to pamper ourself, together. We have been to numerous salon and pedicure date. Can't wait till they are older and we can all go for a massage day out!! Girls being girls, they tend to be even more excited that I do whenever I received products. Recently I was sent with 3 products, Freeman Barefoot range which is the Exfoliating Foot Scrub with Peppermint and Plum, the Barefoot Healing Overnight Foot Treatment with Marula Oil and Cocoa Butter and the last product is a beauty supplement gummies which is known as Nature's Bounty, Hair Skin and Nails Gummies. Since they are so interested over it, might as well I use it as an opportunity to teach them about scent, texture and the wonder of natural ingredients. Since Freeman is devoted to being FREE from Harsh Chemicals, I don't mind sharing it with my girls. 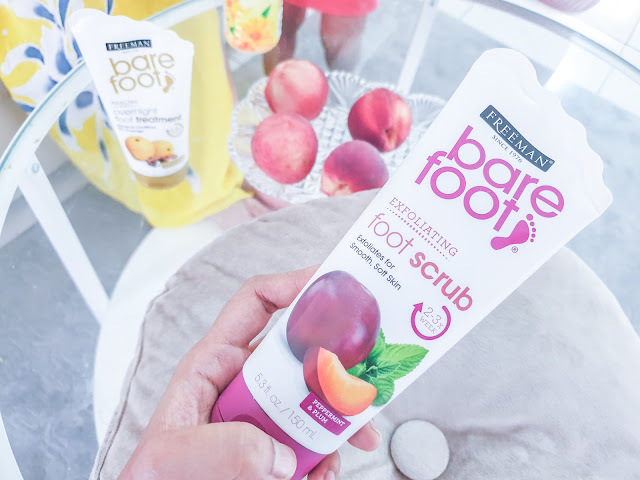 Anyway, the first product that I want to share with you is this Freeman Barefoot Exfoliating Foot Scrub with Peppermint and Plum. 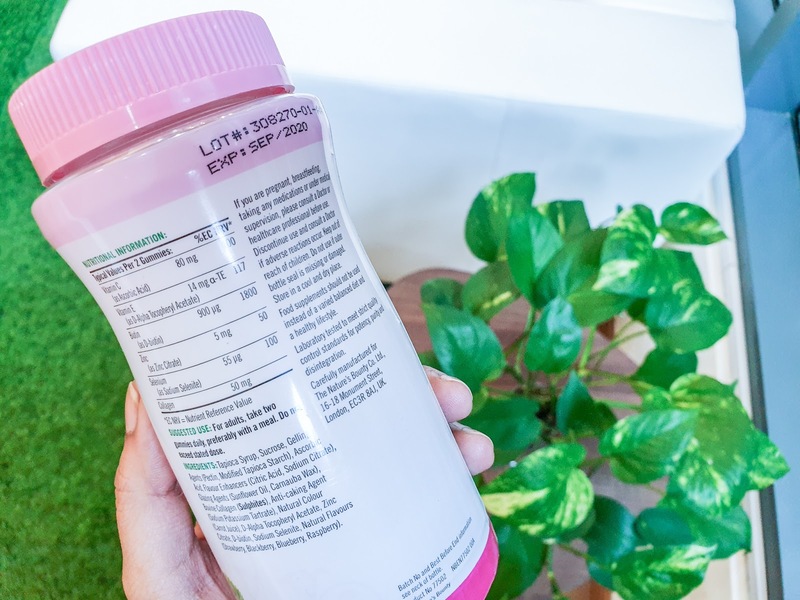 You can click on the image if you want to read to ingredients clearly. 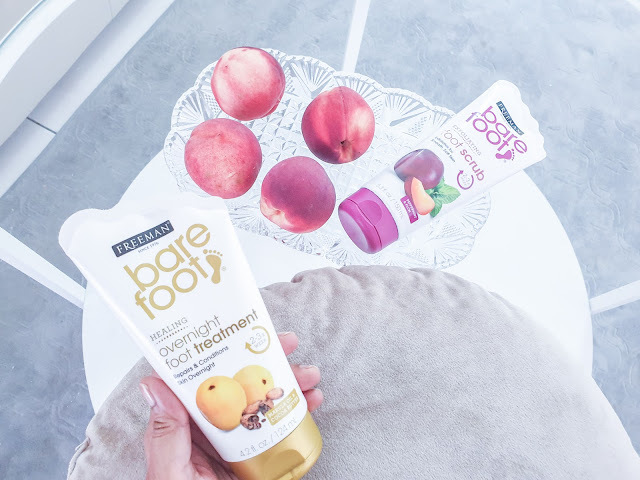 Somehow I do prefer a scrub that comes in tubes, I find it so much easier to use just have to squeeze instead of scooping the product out which is more hygienic in my opinion. Do you know that peppermint has a calming, softening, anti-inflammatory effect on the skin? The natural menthol inside the peppermint will also help to brighten the skin. 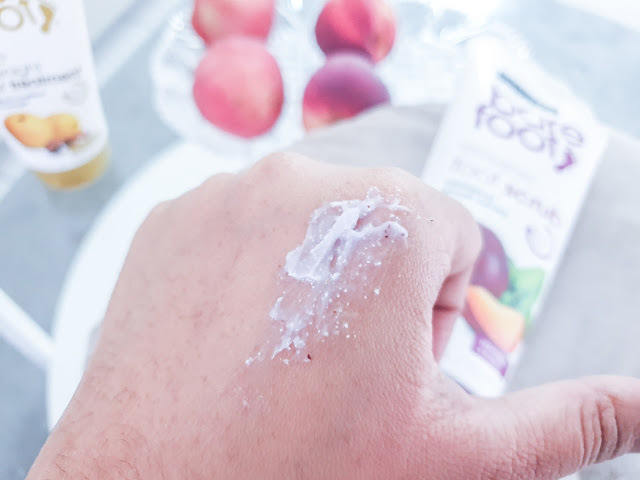 Plum on the other hand, will help to promote blood circulation to scar area and even if you don't have any scars on your feet it will still help to reduce dark spots and make your foot look and feel healthy. This is how the texture looks like. 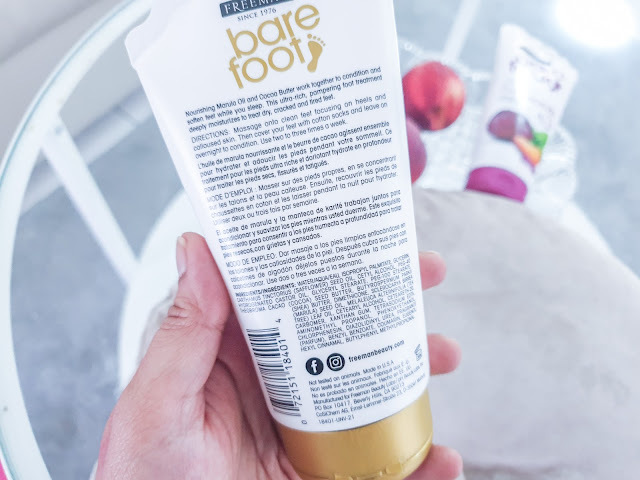 It comes with granules that help to exfoliate the skin around foot area and I actually use it up till my knees because I am extra like that. I like that the smell is just nice and not tooo overpowering. This product helps to exfoliate while still gentle on the skin. For the cost of RM 22.90, I think it is worth every penny. Actually, the Peppermint Plum range do have their own balm and lotion to be used together. But today I will be sharing about this Freeman Barefoot Healing Overnight Foot Treatment instead. This range contains Marula Oil and Cocoa Butter. Those who have sensitive skin may have heard of the Marula Oil wonders. Marula Oils contain Omega-6 essential fatty acid plus omega oleic acid that helps to treat dry skin and healing many skin issues. It also contains natural vitamin E that helps to lighten the skin. To make the healing power, even more, there comes the Cocoa Butter. It is always a great idea to have cocoa butter in your pampering routine because cocoa butter contains a great amount of anti-oxidant. Not only it helps to hydrate it will also nourish your skin. Scars, wrinkle, and marks will heal much faster with the aid of cocoa butter. The texture is more to a thick lotion. It smells sweet and calming. You can use it right after scrubbing your feet. It is advisable to put them on and wear a stokin for the whole night. 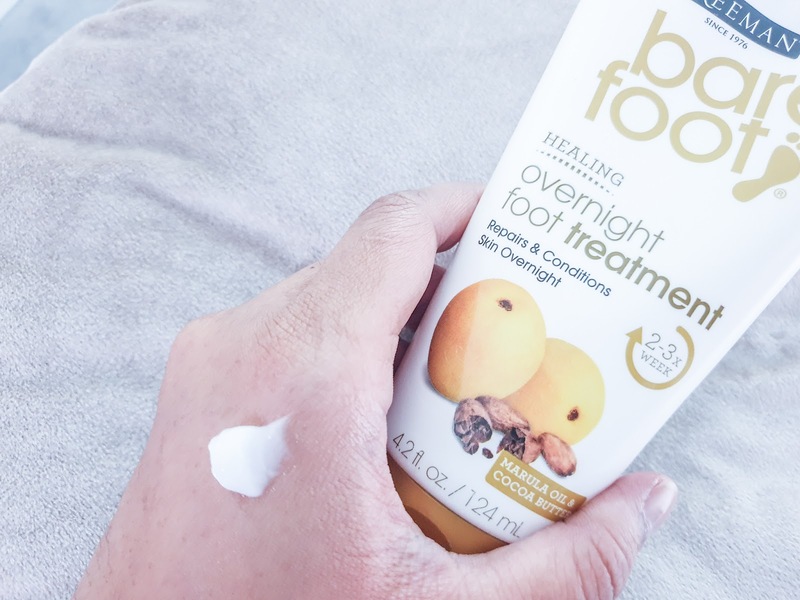 I like to be very generous with the lotion, and get to wake up to a baby smooth feet. What is not to like? hahaha.. The final product that I am going to share with you is super yummy and super fun! I mean why didn't I bump into it earlier? Those who know me, know that I am all into taking supplements. When you gave birth twice, you welcome any kind of help to maintain your youth. Of all the supplement pills and drinks that I tried, this is my first time trying out gummies. OMG so nice! It actually tastes like candy but the kind of candy that makes your prettier hahaha.. What sorcery is this? As usual, you can click on the picture if you want to read the ingredients more clearly. 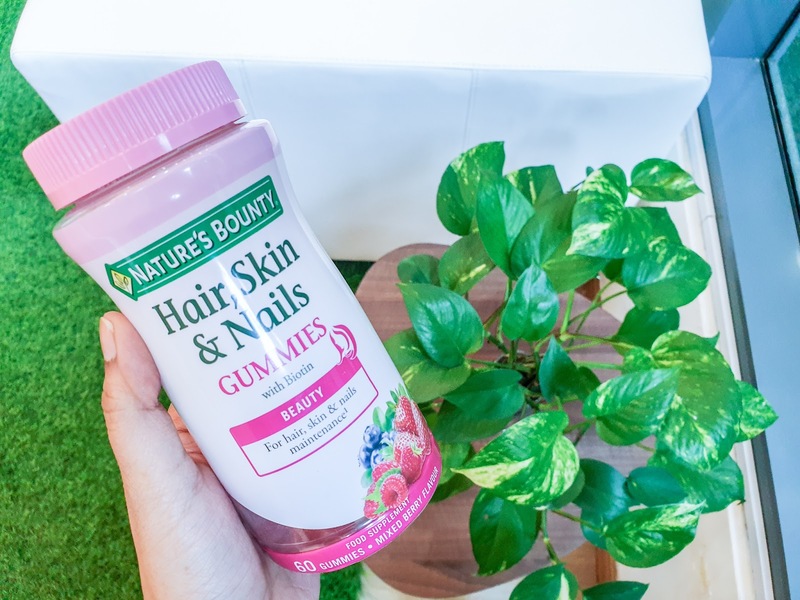 These gummies contain vitamin C vitamin E, biotin, collagen, zinc and all kind of minerals. These key ingredients are great for our Hair, Skin and Nails. Look how cute does the gummies look like. I love having it daily. Been taking two gummies in the morning and so I far I love it. Maybe it is too early to share with you the result because I am already an avid supplement consumer. However, if you are looking for a beauty supplement this is totally fun and yummy ways to do it. I mean you don't have to swallow a pill or pinch your nose to consume some bitter liquid. 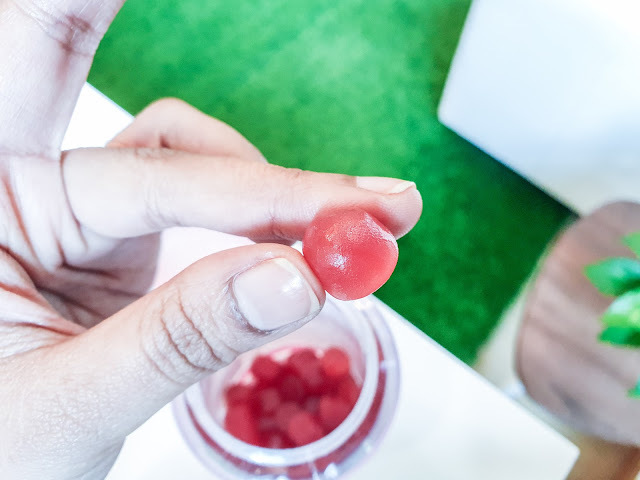 These gummies is actually so yummy that I am sure you will look forward to taking it daily hahahaha.. at least it is for me. The price point is also very reasonable for all the ingredients and the quality of the product. The retail price is RM 89.90 and there is a promo price that you can get them at RM 68 instead. Do check out Watson website since both products are sold exclusively at Watson Malaysia. 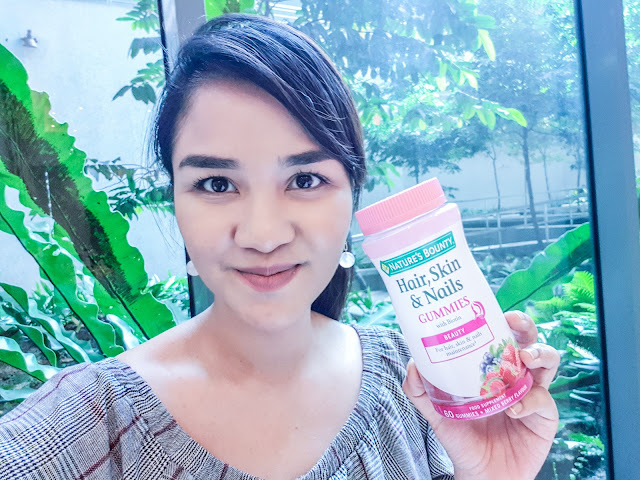 Alright then, we are at the end of this post and I hope you find it informative if you are in the market to look for home pampering kit and a beauty supplements. 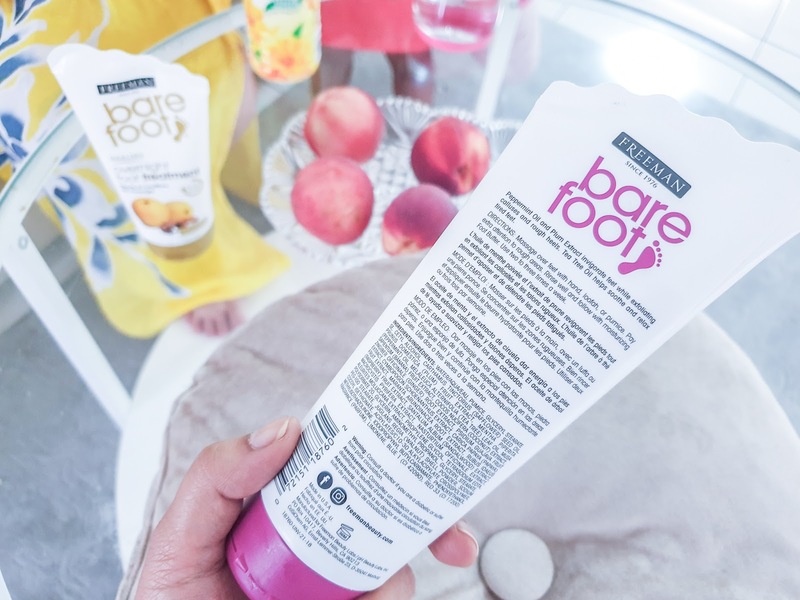 If you would like to try the barefoot range before purchasing you can visit Posh Nail Spa (TTDI or ss2) since they are using freeman barefoot range. Till next blogpost, dont forget to take it easy and smile!